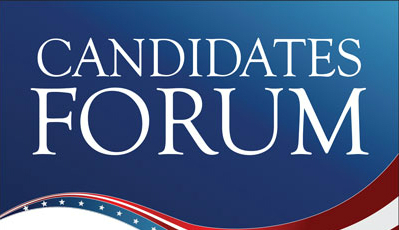 Princeton Community TV will videotape and rebroadcast the forum. 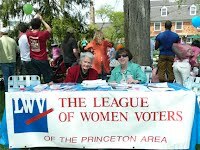 Video will be posted at lwvprinceton.org and on Vote411.org. Please nominate a student who has helped with local League activities for our first annual Rita Ludlum Award. The Leadership Committee will select the winner(s). This year the award will be $300. Please forward the Award Application (linked here) to the student and ask him or her to return it to Kathleen Moriarty at Kkz4@verizon.net. 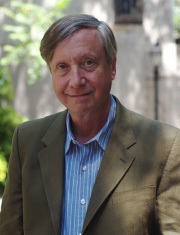 The award will be presented at our annual dinner and meeting. Application Deadline: April 20, 2019. Please join us for our next business meeting on Tuesday, April 9 from 7-9 PM at the Suzanne Patterson Building (Senior Center) in Princeton. An agenda will be sent via email a few days prior to the meeting. Minutes from the April meeting will be available soon after the meeting on our website. You are cordially invited to a luncheon presentation on April 18, sponsored by the UU Women's Alliance. One of our members, Ingrid Reed, will be speaking about women in elected positions in NJ and at the national level. Ingrid is a policy analyst focusing on New Jersey civic affairs. 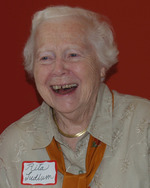 She directed the NJ Project at Rutgers' Eagleton Institute of Politics from 1996 until she retired in June, 2010. Ingrid is a founder and Board Chair of NJSpotlight, a civic journalism website covering current state issues important to its communities. She also serves on the board of New Jersey Future, of which she is a founder. Her many other roles include being a founding member of the Community Foundation’s Fund for Women and Girls, a board member of WomanSpace, and an active member of the League of Women Voters. In 2018 she and her husband Marvin Reed, former mayor of the Princeton borough, were recipients of the Leslie “Bud” Vivian Award for Community Service. There is no fee for the luncheon but attendees are asked to bring a salad or sandwiches to share. Drinks and desserts will be provided. Please RSVP to Sandy Smith at sa2smith@comcast.net if you plan to attend. Join us for an interesting presentation about women in elected positions. Subscribe to be sure of missing nothing.